Previously, Apple had won $399 million as damages related to Samsung’s infringement of Apple’s design patents. Samsung appealed. 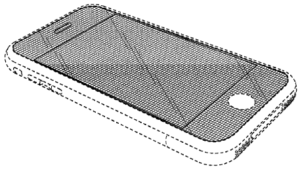 Additional damages in a design patent infringement case are governed by 35 U.S.C. Sec. 289, which allows a patent holder to recover the total profit an infringer makes from the infringement. However, key to this determination is the scope of the phrase “article of manufacture,” as the design must be applied to “any article of manufacture” to recover such damages. The text [of the statute] resolves this case. The term “article of manufacture,” as used in [35 U.S.C. Sec.] 289, encompasses both a product sold to a consumer and a component of that product. Declining to set forth any particular tests, the Court emphasized that a determination of damages under the statute requires two steps. In a first step, the “article of manufacture” must be determined. Then, in a second step, a calculation must determine the infringer’s profit made on that article of manufacture. More litigation to undertake the two-step analysis appears likely.